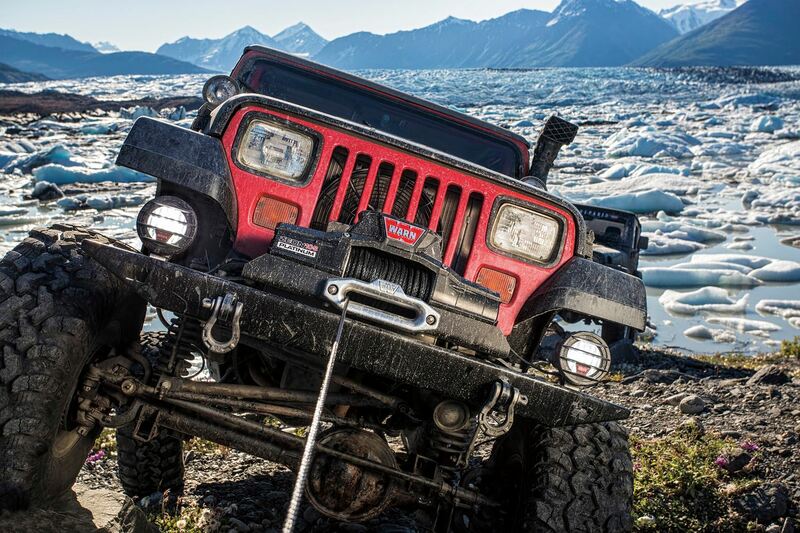 Electric Winches | WARN Industries | Go Prepared. There’s never been a better time to be WARN equipped. Now you can purchase our most popular products online and have them shipped directly from our factory in Clackamas Oregon. If you don’t see what you need for sale online, rest assured we’ve got you covered. Can’t find what you need, visit our Product Catalog to view our full product offering, call WARN customer service or visit an authorized local WARN dealer near you. This Warn Industries ZEON (R) 10 Platinum 12 volt electric Winch is vehicle mounted and has a pull capacity of 10,000 pound. It has a 80 feet wire rope. Note: This Winch will require winch mount for proper installation. Please Note: This product requires a compatible bumper or mounting plate to be properly mounted to your vehicle. Please visit our Mounting & Protection category for available options. This Warn Industries ZEON (R) 12-S Platinum 12 volt electric Winch is vehicle mounted and has a pull capacity of 12,000 pound. It has a 80 feet Spydura synthetic rope. Note: This Winch will require winch mount for proper installation. This Warn Industries ZEON (R) 10-S Platinum 12 volt electric Winch is vehicle mounted and has a pull capacity of 10,000 pound. It has a 100 feet Spydura synthetic rope. Note: This Winch will require winch mount for proper installation. This Warn Industries 16.5ti Series 12 volt electric Winch is vehicle mounted and has a pull capacity of 16,500 pound. It has a 90 feet wire rope. Note: This Winch will require winch mount for proper installation. This Warn Industries 9.0Rc Series 12 volt electric Winch is vehicle mounted and has a pull capacity of 9,000 pound. It has a 50 feet synthetic rope. This Warn Industries 9.5cti Series 12 volt electric Winch is vehicle mounted and has a pull capacity of 9,500 pound. It has a 100 feet synthetic rope. Note: This Winch will require winch mount for proper installation. This Warn Industries 9.5cti Series 12 volt electric Winch is vehicle mounted and has a pull capacity of 9,500 pound. It has a 125 feet wire rope. Note: This Winch will require winch mount for proper installation. This Warn Industries 9.5xp Series 12 volt electric Winch is vehicle mounted and has a pull capacity of 9,500 pound. It has a 100 feet wire rope. Note: This Winch will require winch mount for proper installation. This Warn Industries 9.5xp Series 12 volt electric Winch is vehicle mounted and has a pull capacity of 9,500 pound. It has a 100 feet synthetic rope. Note: This Winch will require winch mount for proper installation. This Warn Industries M12000 Series 12 volt electric Winch is vehicle mounted and has a pull capacity of 12,000 pound. It has a 125 feet wire rope. Note: This Winch will require winch mount for proper installation. This Warn Industries M12-S 12 volt electric Winch is vehicle mounted and has a pull capacity of 12,000 pound. It has a 100 feet Spydura synthetic rope. Note: This Winch will require winch mount for proper installation. This Warn Industries M15000 Series 12 volt electric Winch is vehicle mounted and has a pull capacity of 15,000 pound. It has a 90 feet wire rope. Note: This Winch will require winch mount for proper installation. This Warn Industries M15-S 12 volt electric Winch is vehicle mounted and has a pull capacity of 15,000 pound. It has a 80 feet Spydura synthetic rope. Note: This Winch will require winch mount for proper installation. This Warn Industries M8000 Series 12 volt electric Winch is vehicle mounted and has a pull capacity of 8,000 pound. It has a 100 feet wire rope. Note: This Winch will require winch mount for proper installation. This Warn Industries M8274-50 Series 12 volt electric Winch is vehicle mounted and has a pull capacity of 8,000 pound. It has a 150 feet wire rope. Note: This Winch will require winch mount for proper installation. Copyright © 2019 WARN Industries. All rights reserved.